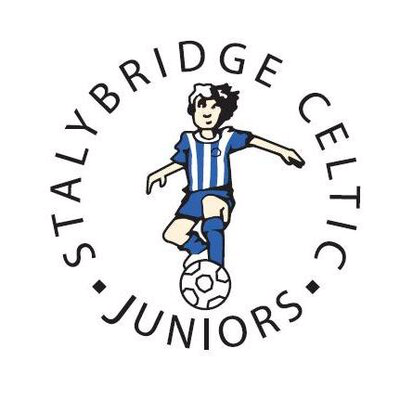 Stalybridge Celtic Juniors under 9s Blue and Whites took the trip of a lifetime to Portugal to take part in the Europa Cup last weekend (9-10 June). After months of fundraising activity which included supermarket bag packs, raffles and special events the team flew together from Manchester Airport to Lisbon for the two day Europa Cup competition held at Benfica’s Estádio da Luz stadium. The trip, which took months of planning and preparation by the team’s volunteer coaches; Ali Rehman, Eddie Norton and Jonny Pritchard who will be familiar faces to many as they are regular coaches at the Soccer School, as well as the under 9s, plus Jamie Briers and Simon Heywood who volunteer with the team, was a huge success. The players got to train at Benfica’s training complex before playing games inside the 65,000 seat Estádio da Luz stadium. After making it through to the knock-out stages of the competition they were unlucky to finish runners-up in the Europa Cup Final Plate competition. After leading the game their opponents equalised deep into added time which forced the game to penalties which the under nines sadly lost out on. The trip is sure to have made fantastic memories for the coaches, the players and their families who travelled with them which will stay with them forever. Next year it’s the turn of the current under 8s to make the same trip.